A while ago I saw a bread recipe that intrigued me. 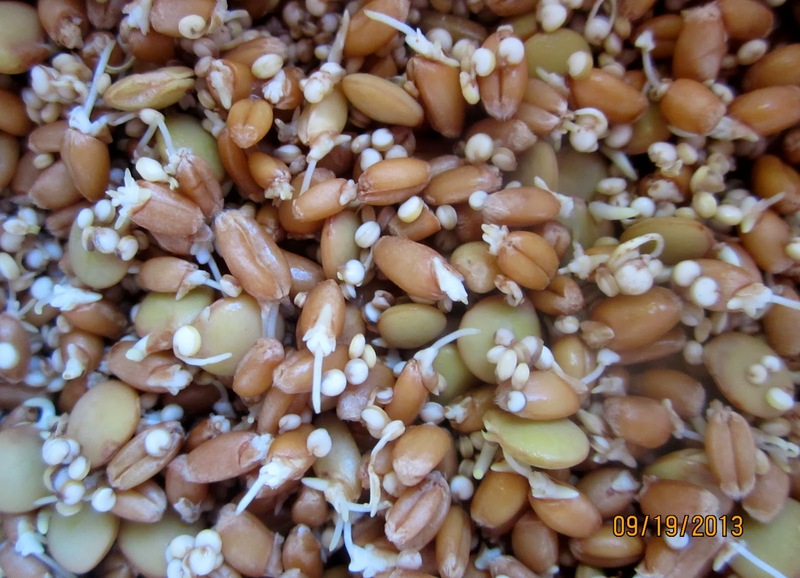 Not only had it a lot of grains, but, also, three different kinds of sprouts: wheat, lentils and quinoa. 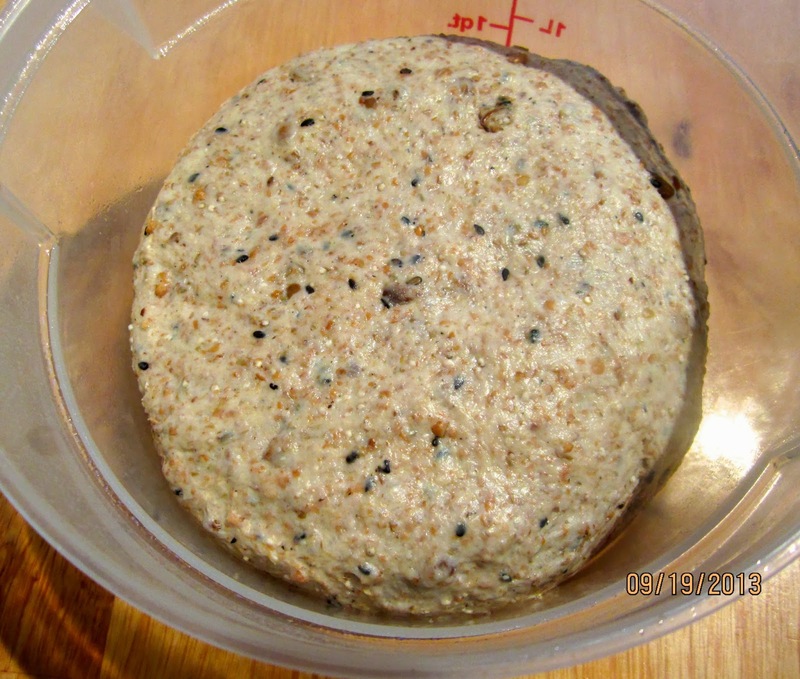 To make a sprouted grain bread you have to plan ahead, because it takes about 2-3 days until the first little white tips show up on the soaked grains. 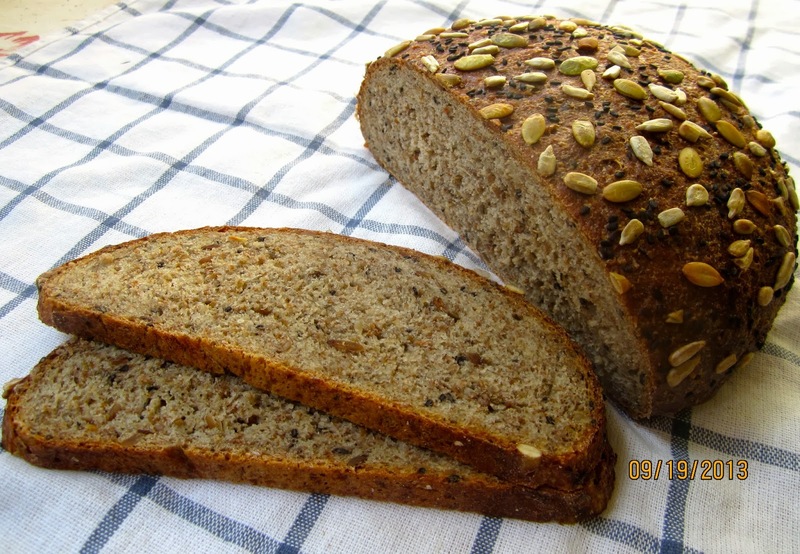 Once sprouted, the grains are pureed into a smooth paste that, together with toasted sunflower-, pumpkin- and sesame seeds, gives this interesting bread its unique taste. I changed the original recipe, created by “America’s Test Kitchen”, quite a bit. Though I don’t mind a hint of sweetness, I don’t like “falling into the honey jar” (as the Germans say), and 1/3 cup of honey in the dough seems a lot, even with the potentially bitter bran and fibers of the whole grains. Instead of long kneading I prefer stretching and folding the dough, combined with an overnight rest in the fridge. This slow fermentation ensures good digestibility, and the aroma of the bread has more time to develop. And, as an additional benefit, you need less yeast. The bread looked so appetizing, when it came out of the oven, that we could hardly wait until it had cooled down enough to be cut. 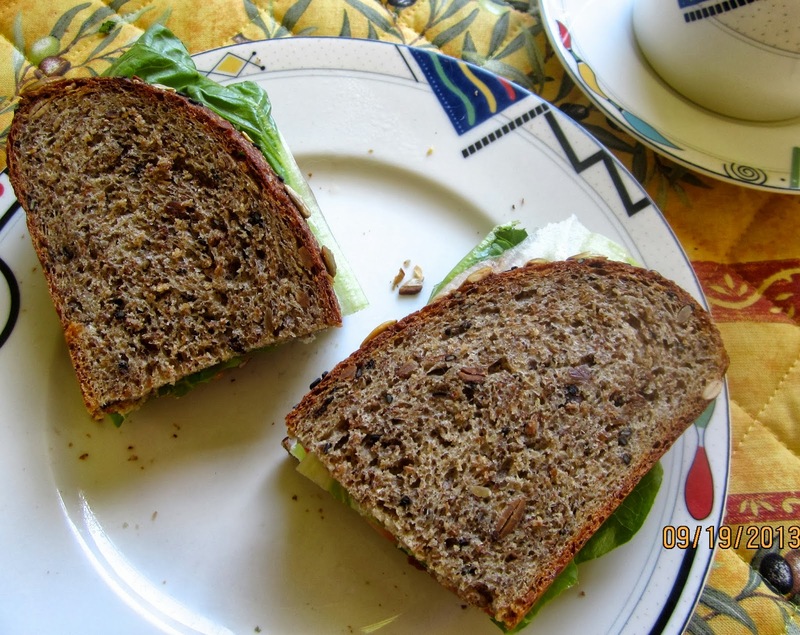 Fortunately my fears proved to be unfounded, my sprouted grain bread was as tasty as it looked. No harsh legume aroma met our taste buds, the lentils blended harmoniously with the other ingredients. The bread was also good for toasting, and we liked it especially with butter and honey. Drain grains through fine-mesh strainer (caution: if the mesh is not fine enough the quinoa seeds will fall through), then return them to the bowl. 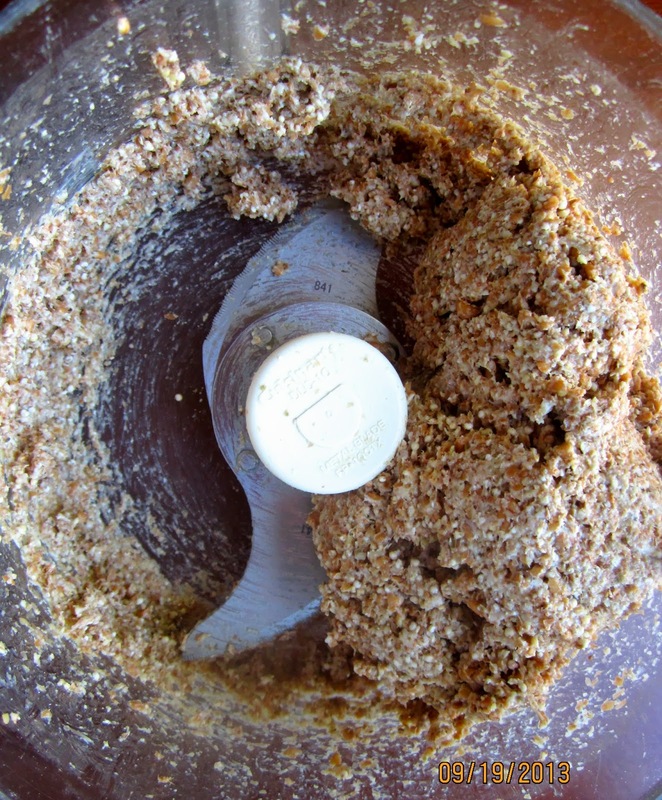 Process sprouted grains in food processor to a smooth, sticky paste, 2-3 minutes. 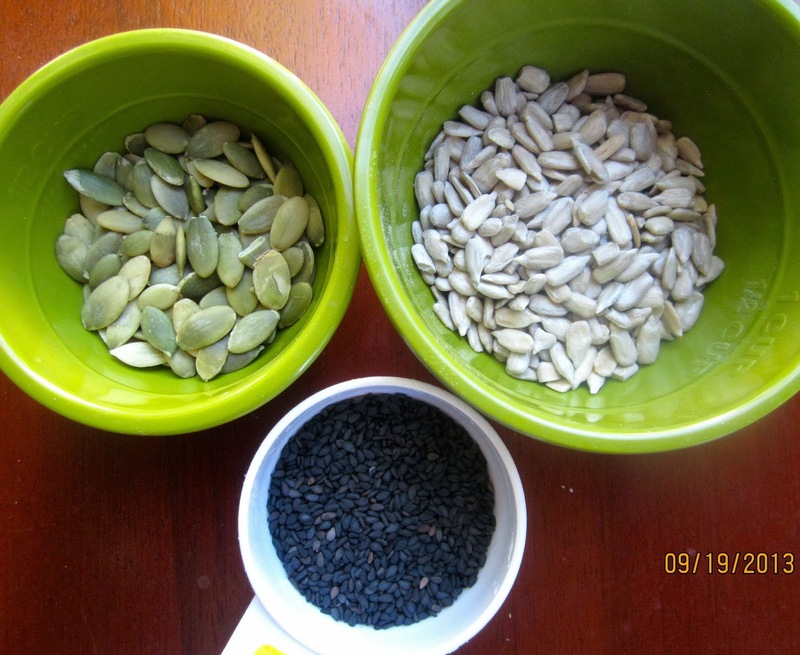 Combine seeds in small bowl. Toast 45 g/6 tbsp. of the seeds (reserve remaining seeds for topping.) Whisk water and honey together in measuring cup. Combine sprouted grains, bread flour, yeast, and salt in bowl of stand mixer with dough hook. Add water/honey mixture, while mixing on low speed for 1-2 minutes, until dough comes together and all flour is hydrated. Let it rest for 5 minutes. Transfer dough to lightly oiled or wet counter. With oiled or wet hands, stretch into a rough square, and fold from top and bottom in thirds, like business letter. Then fold from both sides. Gather dough into a ball, and place, seam side down, into lightly oiled bowl. Cover, and let it rest for 10 minutes. Repeat this stretching and folding 3 times in 10 minute intervals. After the last fold, place dough in refrigerator for a slow overnight rise. Remove dough from refrigerator, and let sit at room temperature for 2 hours, or until almost doubled in size. Preheat oven to 425ºF/220ºC. Line baking sheet with parchment paper. Cover, and let bread rise for about 45 – 60 minutes, until nearly grown to double its original size (finger probe: a dimple made with a finger should not close again). 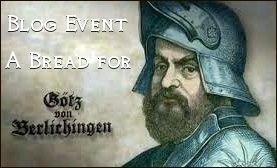 Bake bread at 350ºF/175ºC for 20 minutes, rotate 180 degrees, and continue baking for another 20-30 minutes, until it is golden brown, sounds hollow when thumped on the bottom, and registers 210ºF/99ºC on an instant read thermometer. Let bread cool on wire rack. Tastes good as BLT-sandwich, too! A beautiful bread. The dough looks like Marla's black hamster 🙂 but of course it's less moist then that otherwise there would be no way for you to free shape the bread. Well done. I get inspiration in letting my grains sprout. I might want to do that as well with one of my next breads. BTW, I also prefer stretch and fold, but I never tried to let the dough rise slowly in the fridge overnight. Do you think the taste improves a lot, doing that? How to you make sure you don't over ferment the dough this way? 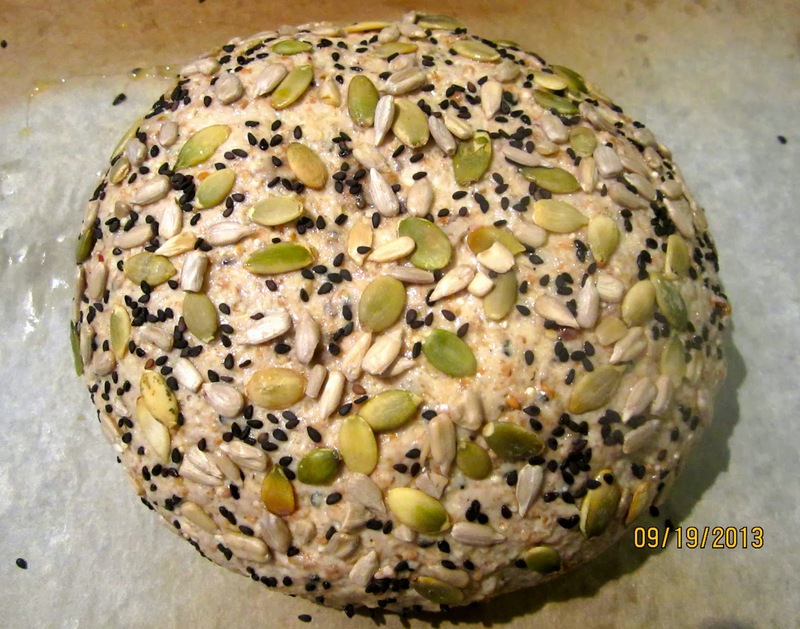 Bread with sprouted grains was on my agenda quite for a while- so now I will make the soaker immediately! Thank you, for the detailed advice on how and when to…. It is quite moist, but the seeds give it a stiffer structure. I either use S&F or work with pre-doughs, depending on what works best for my schedule. 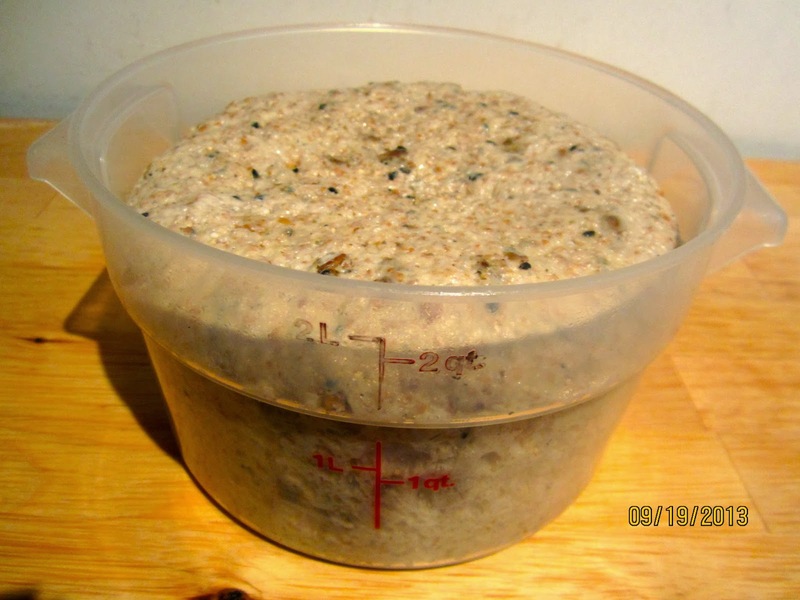 I bulk ferment almost all doughs overnight in the fridge, using very little commercial yeast, so they don't overproof. This works really well, because I can do most of the work the day before I bake them. 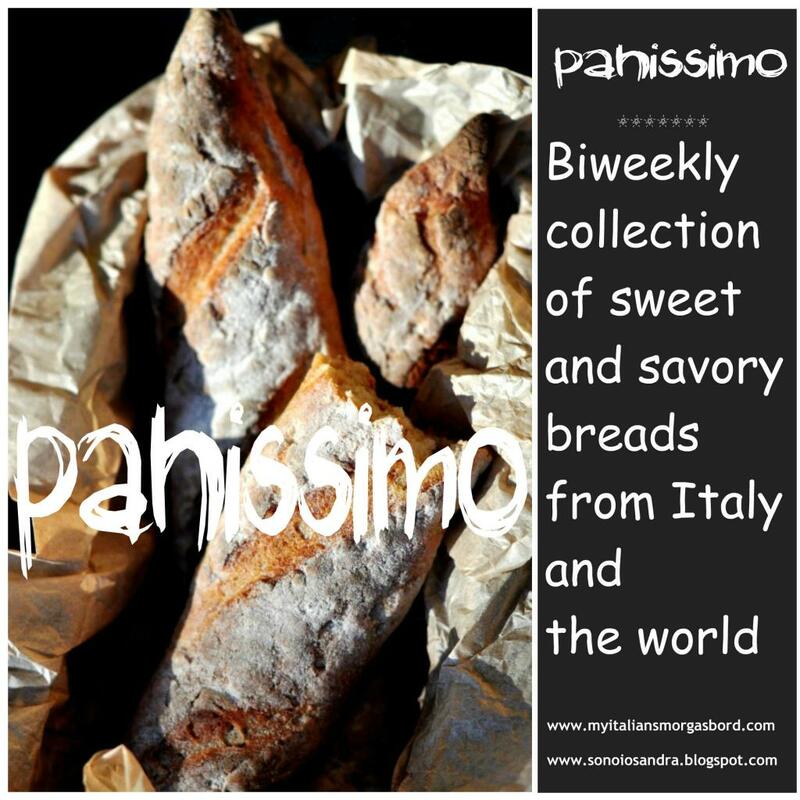 The taste definitely improves, whole wheat breads taste milder and less “healthy”, and white breads have a more complex flavor, whereas those made within a few hours are often quite bland. Do try it, and please let me know how it turned out! Exactly! I take the breads out when I first get up in the morning, and shape them two hours later (rolls can be shaped cold, they warm up so quickly). Turned out very nice, I like it! Made a few changes, of course- who doesn't? Glad to hear that you liked it. What were your personal touches? different time management (due to necessities) and poppy seeds instead of sesame were the major changes. What kind of lentils did you use? Regular brown lentils. I like poppy seeds in bread, too, definitely a good alternative.